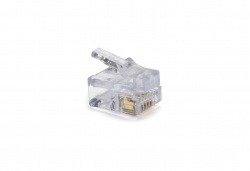 The EZ-RJ12/11 Connector simplifies twisted pair terminations by allowing the wires to be inserted through the connector and out the front. 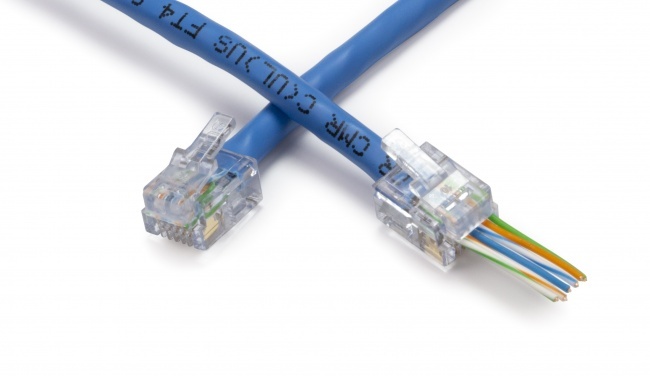 This allows the technician to easily verify the proper wiring order prior to termination. Use the EZ-RJPRO HD™ Crimp Tool (P/N 100054) or EXO Crimp Frame® with EZ-12/11 Die (100061 & 100073C) for single cycle crimping and trimming of the excess wire. FCC compliant and UL rated. Made in the USA. Designed for 6, 4, and 2 conductor applications. 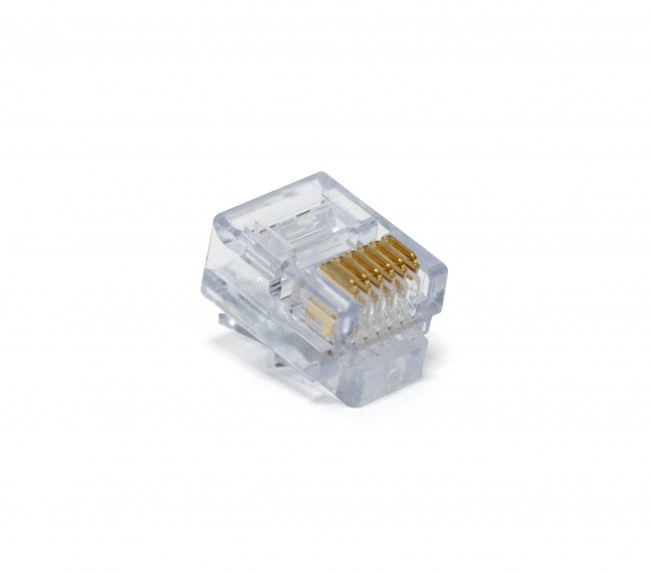 EZ-RJ12/11 Connectors, Bulk Package, 500 Pc. Min. EZ-RJ12/11 Long Tab, Bulk Package, 500 Pc.